Last week I began posting about my trip to Perth, Ontario, and I still have more to write about! Trust me, my 24-hours there were JAM-PACKED with activities! However, if it wasn't for the Chevrolet Trax I had for that weekend - I wouldn't have been able to get there at all! My lovely friends at GM Canada set me all up for my mini-road trip. I picked up the Trax and was quickly back on the road to Perth! After driving for a little while, I decided I needed a little bit of an energy boost. So, I made the obligatory stop that I make on all road trips - to fuel up with Red Bull! I don't drink coffee, and rarely drink soda, so I get most of my caffeine from Red Bull. Plus, it's delicious and I love it. DON'T JUDGE ME! 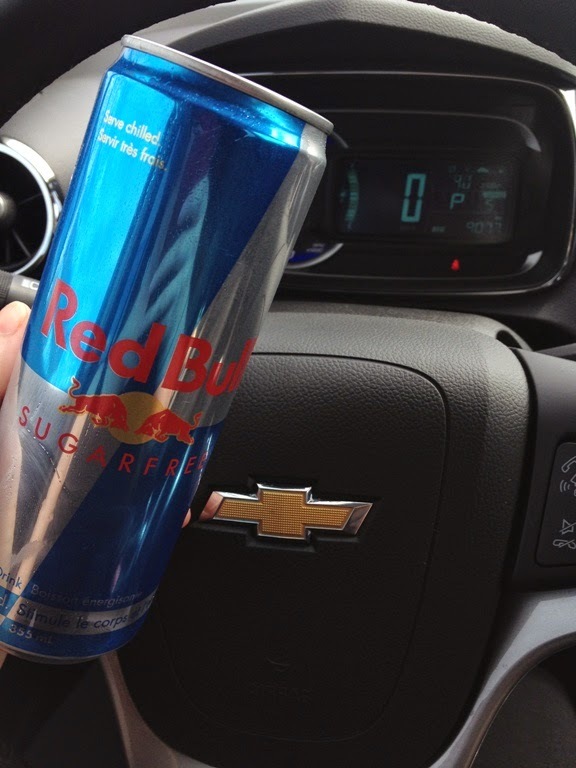 Red Bull - My fuel for road trips! 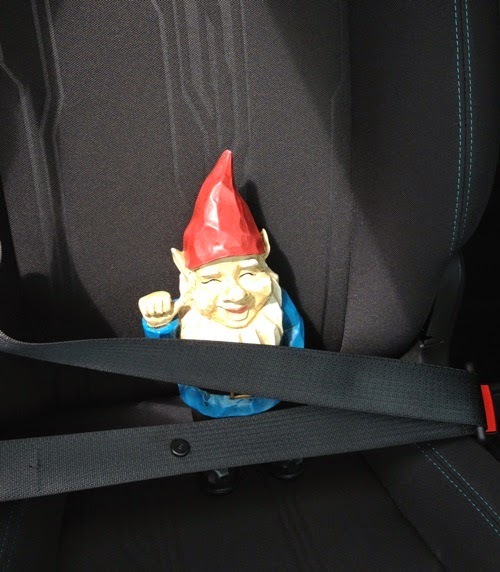 George was buckled up for safety the entire trip! 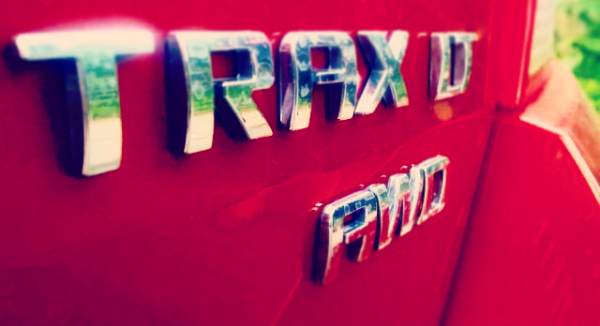 The Chevrolet Trax is a crossover vehicle. Which, essentially means it's a vehicle built on a car platform, but with select features of an SUV. One of the first thoughts I had when I got in the car was that it didn't FEEL as big as it actually was. Which is a good thing! It supplied the size of a bigger vehicle, while still feeling like I was driving a car. Mastering city life takes street savvy. The same holds true of the equipment you use to navigate those streets. 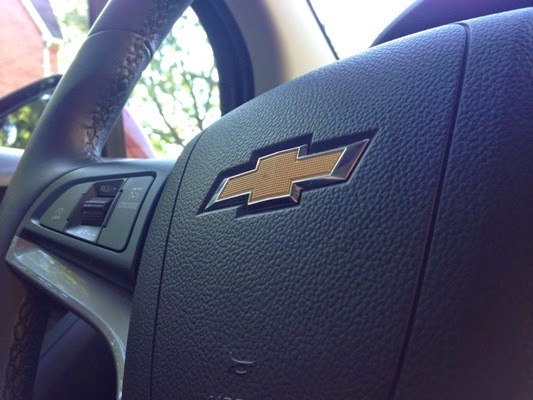 When the Chevrolet Trax was introduced last year, it clearly hit the spot, with its bold design, nimble and assured handling, extraordinary fuel efficiency, plus all the latest in must-have entertainment and connectivity technology. These attributes are complemented by remarkable versatility, highlighted by up to 1371 L (48.4 cu. 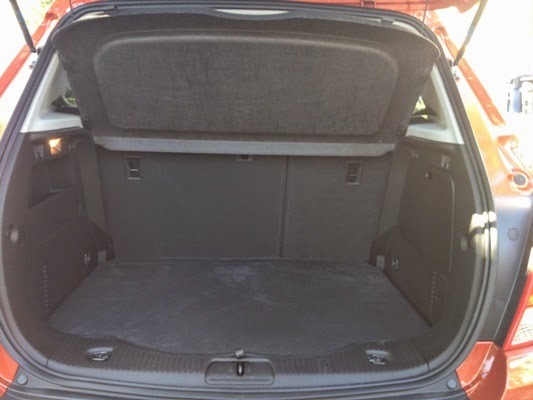 ft.) cargo space. Starting to get a complete idea of how Trax can help you tame the city? 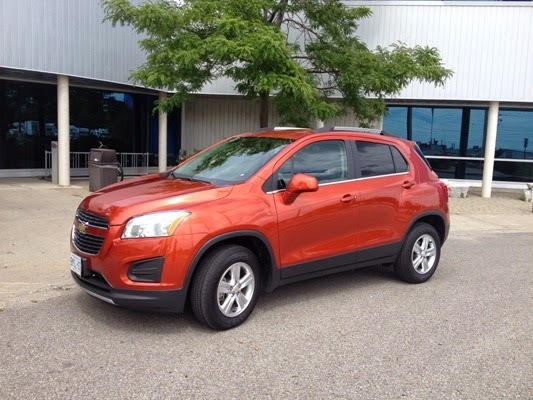 It’s your city – and it’s your crossover: the 2014 Chevrolet Trax. 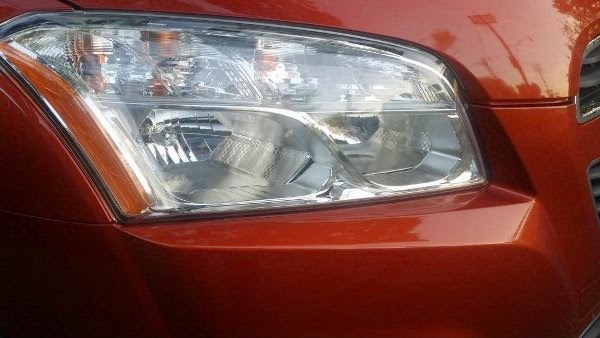 Every Chevrolet Trax features pronounced wheel flares and swept-back headlights making for a sleek exterior. It provided an elevated view of what was ahead, which was really beneficial for me as I was driving a route I had never driven before. I like to keep an eye on the traffic ahead of me by at least a couple cars, and while driving down single-lane highways it really helped to see ahead if the road curved...which, it did, a few times! Driving back from Perth I got stuck in one of the WORST rain storms I have ever seen. And I've lived in Vancouver - so that's saying something! But the Trax was SO amazing on the highway. I didn't feel nervous at all! (Ok, maybe a little...) The rain was coming down in buckets, in patches. So I would drive for 5 minutes and the sky was clear then BOOM - CRAZY downpour! Everyone on the highway would have to slow down, seriously we were probably going maybe 10 klm/hr on the 401. 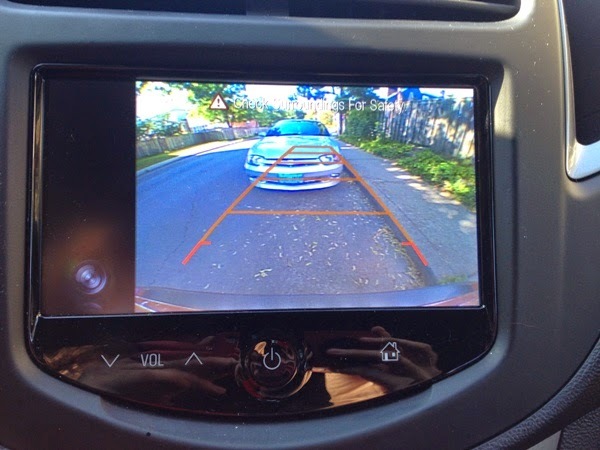 You couldn't see 2 feet in front of you , let alone the suggested 2 car lengths in front of you! But the Trax; and my awesome driving, were put to the test - and we passed! The AWD helped with the adjustments of speed and road conditions and the blind spot assist was crucial! You know I can't write about any car I have the pleasure of experiencing without giving you guys the important information. Such as...trunk space! The Trax has AMPLE trunk space, I made myself comfortable in there, as you can see above - and another body person could have fit in there with me! The cup holders were perfectly placed allowing me easy access to my multiple Red Bulls and the can of Pringles I may or may not have eaten on my way to Perth. ...ok, I ate them. I was on vacation! DON'T JUDGE ME! Another big thanks to GM Canada / Chevrolet Canada for setting me up with the Chevrolet Trax, I can't wait to hit the road again! Stay tuned for my many upcoming road trips!